Primus pilus, literally First File: The Primus Pilus was the commanding centurion of the first century, first cohort and the senior-most centurion of the entire legion. 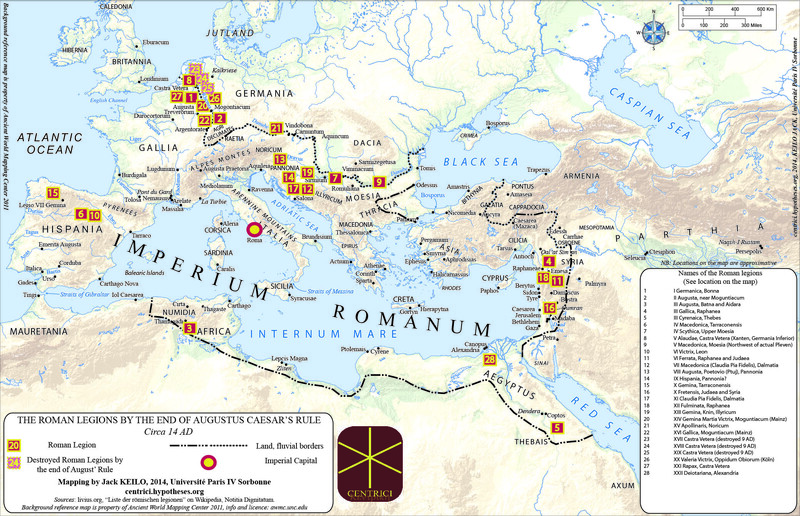 (Unlike other cohorts, the first cohort had only one javelin century, instead of a "front spear" and a "back spear" century.) The primus pilus had a chance of later becoming a Praefectus Castrorum. When the primus pilus retired, he would most likely gain entry into the equestrian class. 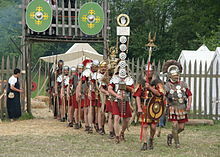 He was paid 60 times the base wage.Primus Pilus were also payed more than an average centurion and like a narrowband tribune. Tesserarius: (Guard commander) One for each century. They acted as seconds to the Optios and were paid one and a half times the basic wage. Keeper of the watchword, administrative assistant to HQ Staff, third in command of a century. These men fought as normal soldiers when the century they were attached to weren’t in the vanguard. Equivalent to a modern Staff Sergeant. 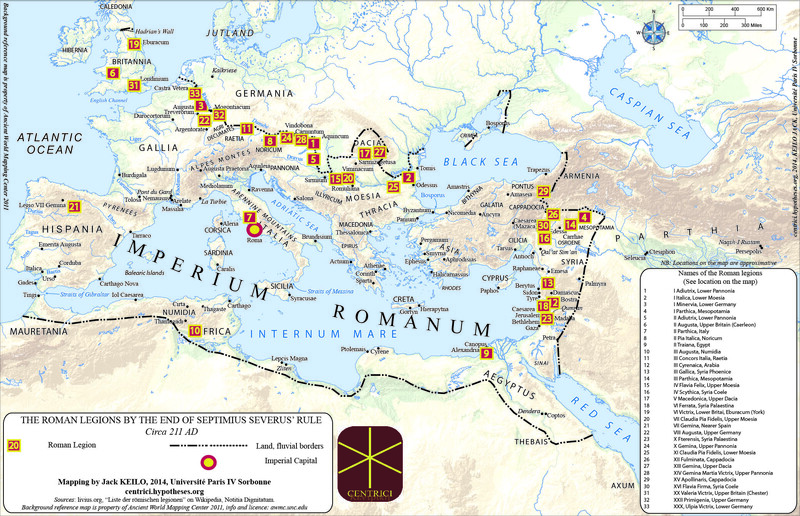 This page is based on the Wikipedia article Roman legion; it is used under the Creative Commons Attribution-ShareAlike 3.0 Unported License (CC-BY-SA). You may redistribute it, verbatim or modified, providing that you comply with the terms of the CC-BY-SA.